No collection would be complete without the tools. The main lathe shown here at 1/144 scale is a model of my regular lathe. 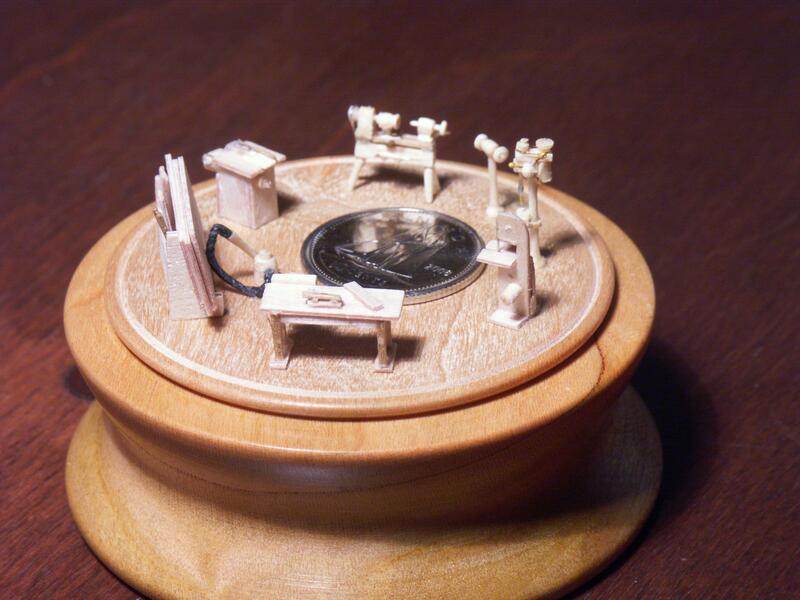 On the workbench you may just be able to make out a scale model of my micro-lathe.